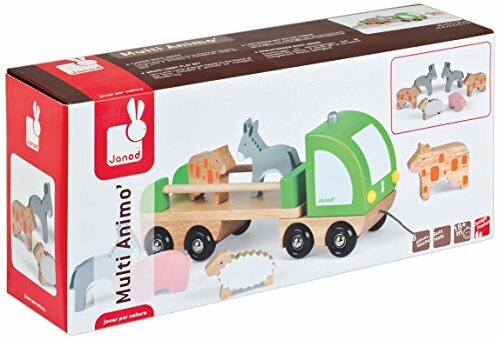 pMake way for Janods Multi Animo Truck on its way to your playroom to drop off a farm of your own. Designed in France this great solid wood flat bed style truck is ready to take your livestock where ever they need to go. This set also includes 6 great wooden farm animals.